Are you looking for more options to home selling? Have you had your home for sale for months and not a single home buyer has decided to make an offer to you? Maybe you've spent a lot of money on home advertising, made a number of price reductions, and still nobody calls you. Or, maybe your agent now holds an expired listing? It's possible that you've even buried a statue of St. Joseph in your yard, and that didn't bring any offers either. What can you do when it's plain that your home isn't selling? What do you do with a home that buyers do not want? It could just be the case that it's not a good time to sell. If it's a buyer's market, perhaps you should take your home off the market and wait for inventory to drop. When there are fewer homes for a buyer to choose from, your home may be snapped up. If you can afford to wait, selling in spring might bring an offer because spring months bring more buyers into the marketplace. But if every other home is better than yours, waiting until spring will not help. If your need to sell is based on financial reasons, it might make sense to take out a home equity loan, providing you can afford to pay a higher monthly payment. If your existing loan is an adjustable rate mortgage, and a higher interest rate has raised your payment to the extent that you can no longer afford to pay it, you might be able to renegotiate a loan modification plan with your lender or convert that ARM into a fixed-rate mortgage at a lower interest rate. Before you decide to borrow more money through a refinance of your existing loan or by taking out a second mortgage, first meet with a trusted advisor to discuss your financial situation. Don't talk with any real estate professional who has a vested interest in your affairs. Speak with a tax accountant or your real estate lawyer. Some home sellers have no choice. For a variety of reasons, from job promotions to family-related matters, a home seller might be forced to relocate to a new area and leave an existing home behind. Even if you can't receive enough rent to cover your mortgage payments, paying a small amount of negative cash flow every month might be easier on your wallet than forking over thousands of dollars for a vacant house. Some sellers make a killing through Airbnb or other short-term rental sites. If you can rent the home for more by the night, consider it. Some HOAs prohibit renting or limit the type of rental periods you can negotiate. Hire a reputable real estate management company to screen tenants and hire tradespeople if repairs become necessary. You don't want midnight calls from tenants if a toilet leaks. Ask neighbors to keep an eye on your home and to notify you if they suspect problems. Give them your e-mail address or cell phone number to call in the event of an emergency. Encourage them to call the police and report suspicious activity. Discuss the ramifications with a real estate lawyer to make sure you understand the consequences. Moreover, not every seller qualifies for a short sale, and not every lender will accept a short sale. Realize that short sales affect credit, and redeeming a pre-foreclosure on your record could prevent you from buying another home for a while. You may owe the IRS taxes on a short sale. You may receive a 1099 from the lender for the amount of forgiven debt, but that is considered standard protocol. Talk to your accountant about it. It might be nothing. You might talk to your real estate agent about doing a lease option purchase versus an outright sale. Lease options are appealing to borrowers who, for a variety of reasons, might not be in a position to purchase a home through conventional financing. 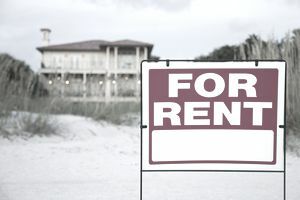 Maybe they can't decide whether to buy or rent. Make sure your lawyer reviews all documents before you agree to a lease option. Lease options give a tenant the opportunity to later purchase your home at a predetermined price. For a tenant who is on the fence about buying a home, it lets them live there while deciding whether to buy. Typically, lease option payments are higher than a regular rent payment, which might eliminate negative cash flow for you. A tenant who has a stake in the home might take better care of the home, and sometimes lease option agreements make the tenant responsible for all repairs. If your employer is transferring you out of town, you might ask about a guaranteed purchase program. Many employers hire relocation companies that offer buyouts for employees. You might not even know that your employer has a relocation program if you don't ask. This could be free money for you. This option is referred to as a "fire sale" in real estate marketing lingo. It means reducing the price to a rock-bottom value that is attractive to the equity purchasers and cash investors who are always on the hunt for a steal. Anything will sell for the right price. Find out what that right price is by slashing it and then strongly consider whether you can live with the results. Sometimes the benefits outweigh the negatives. And every so often, this strategy will result in multiple offers. Everybody wants what somebody else wants, even the home that you could not sell previously.